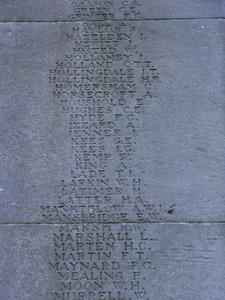 Sir Giles Gilbert Scott O.M. 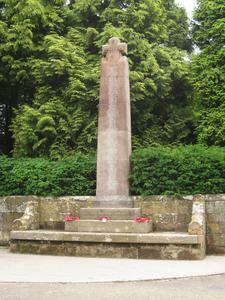 RA. 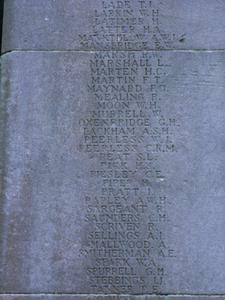 Set into boundary wall of churchyard. 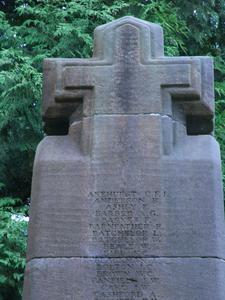 Tall stylised cross with broad shaft, mounted on three stepped base with the lower step flanked by projecting arms with concave tops. 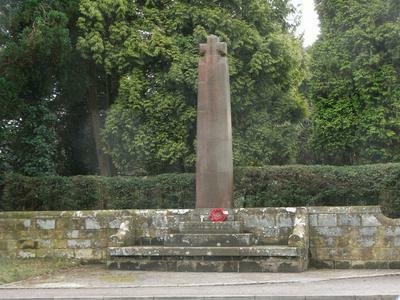 The cross and base is set within the churchyard wall. 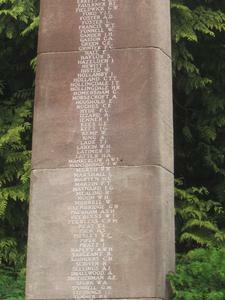 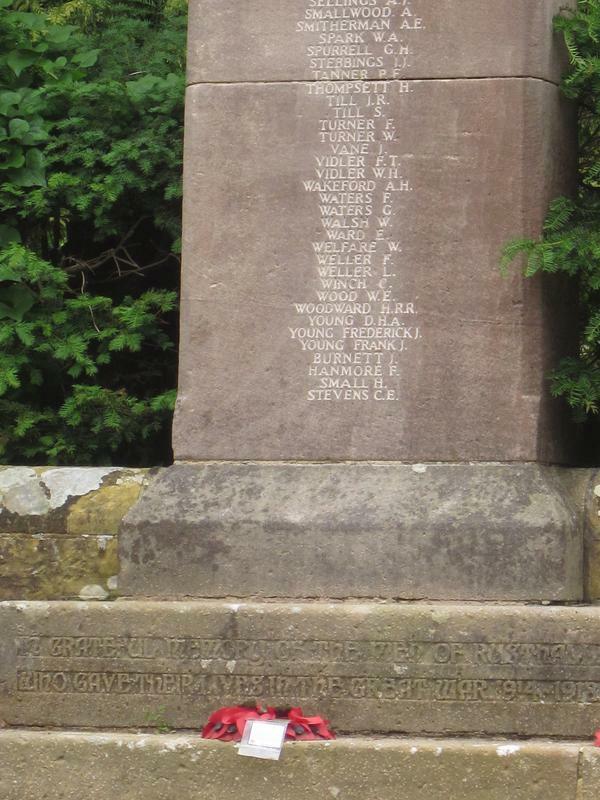 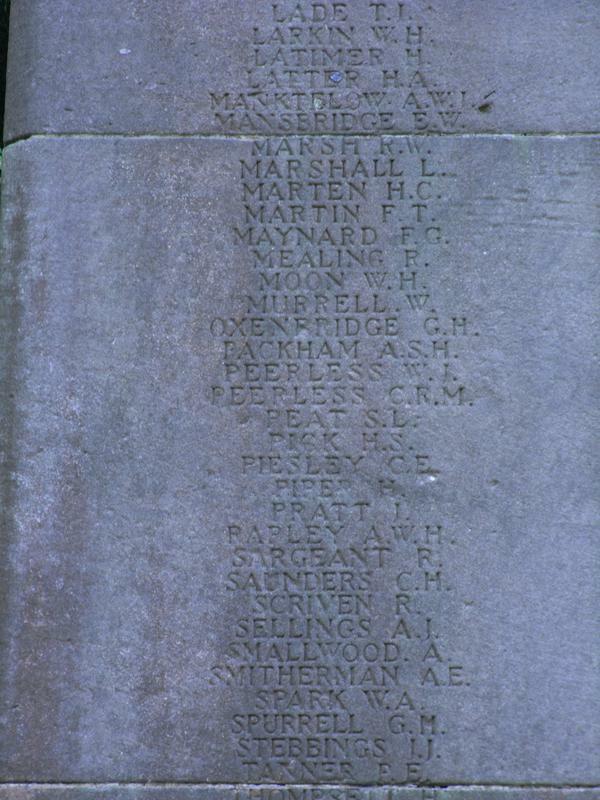 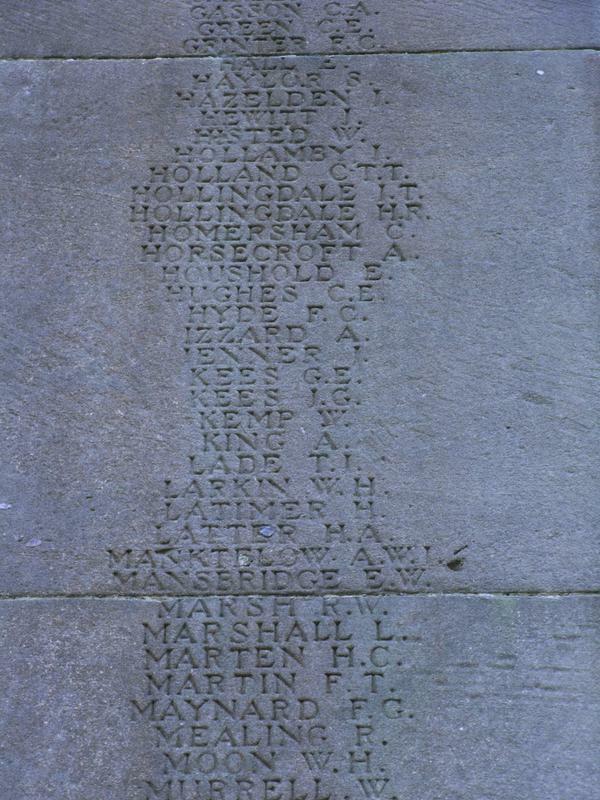 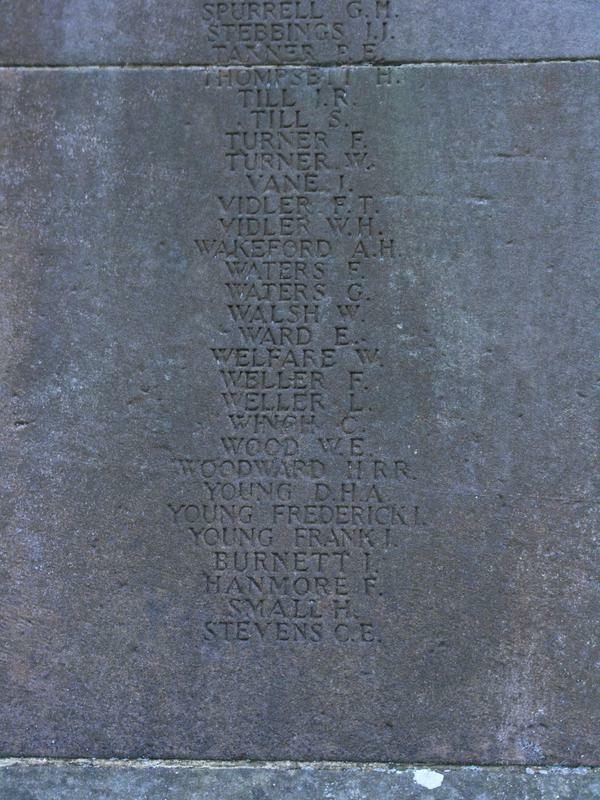 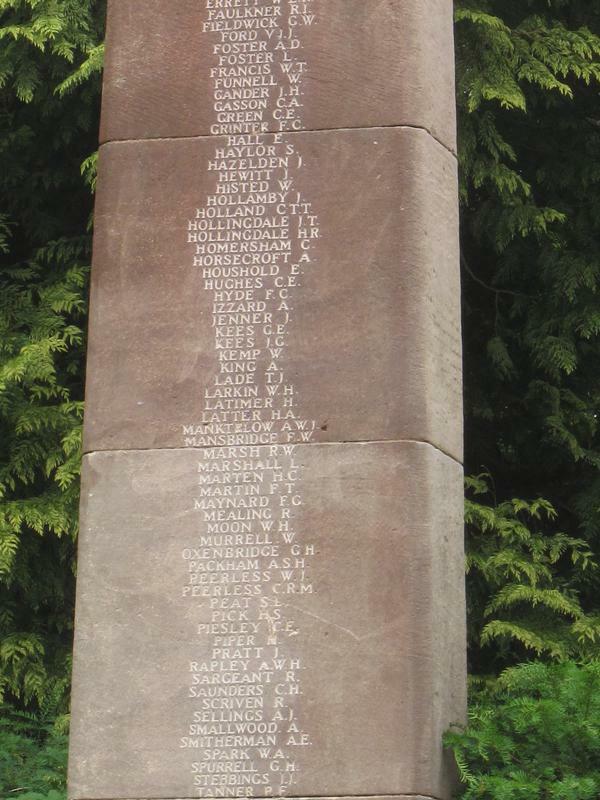 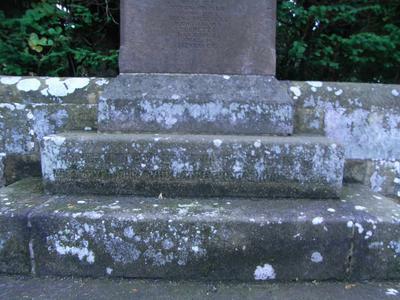 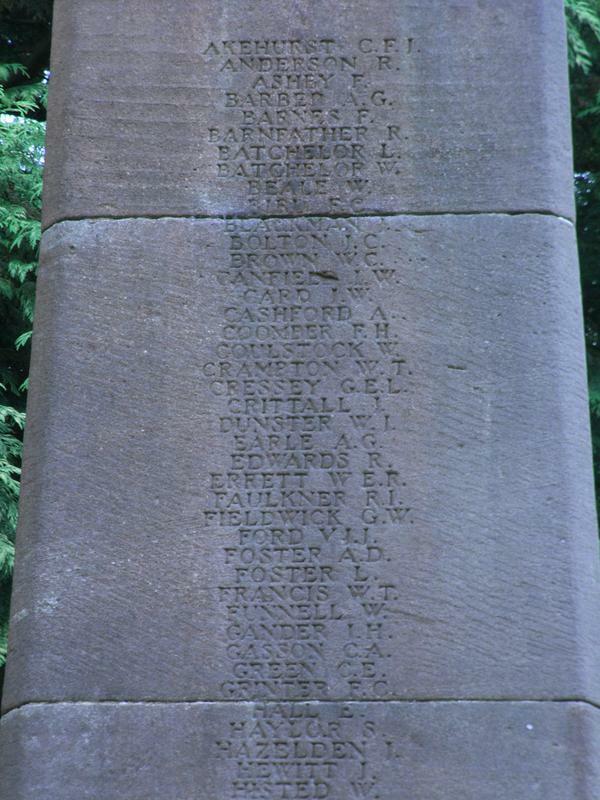 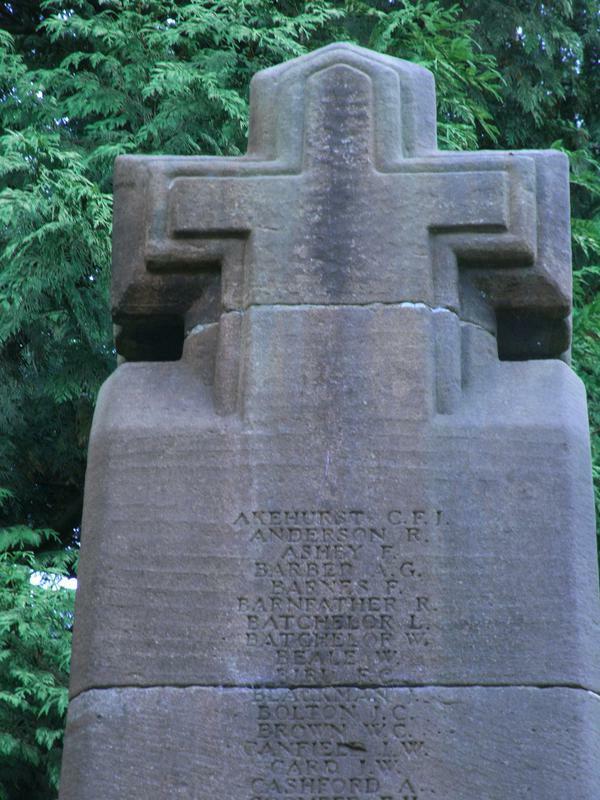 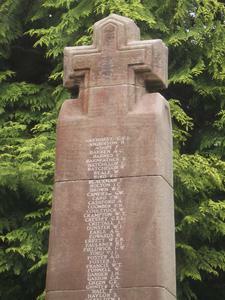 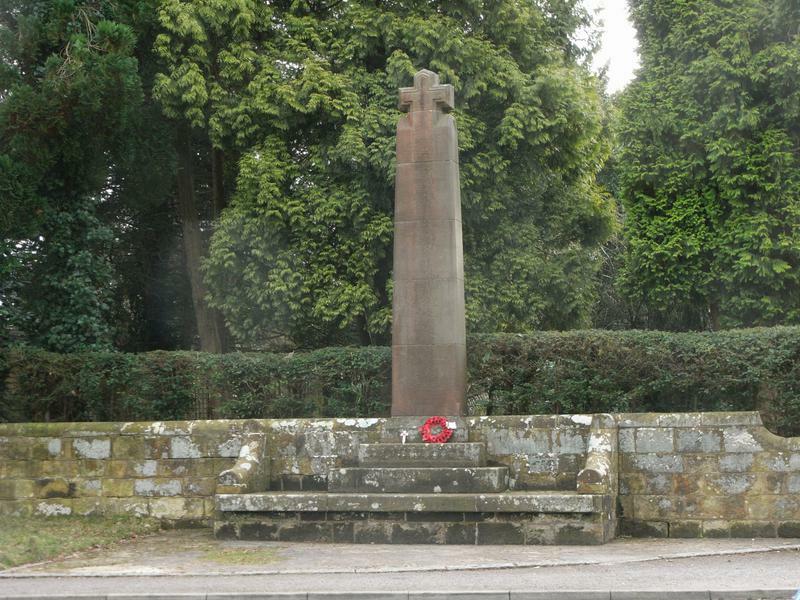 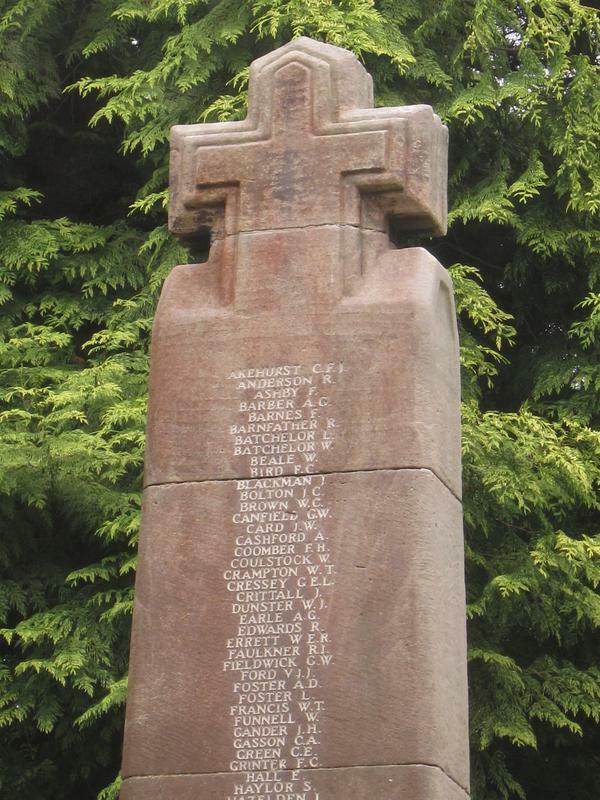 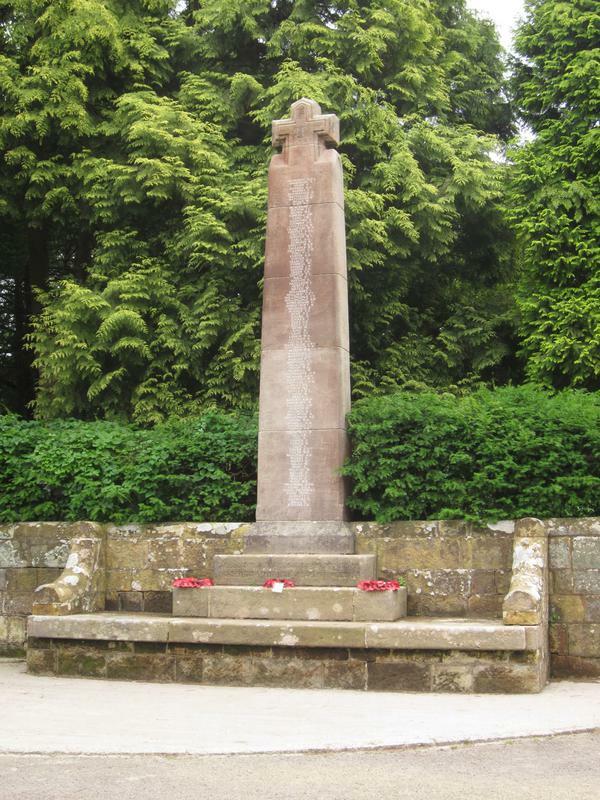 2011: Parochial Church Council are seeking funds to restore the memorial. 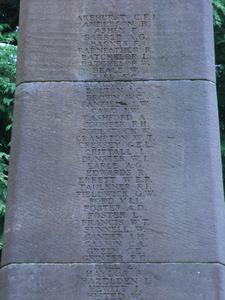 Comments: Relatives had to pay five shillings for 20 letters.